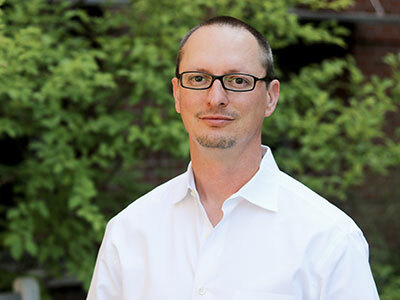 Professor McKeon earned a PhD in finance (2011) and an MS in economics (2009) at Purdue University, and a bachelor’s degree in business administration (2000) from the the University of Oregon. His professional experience includes a venture capital backed startup in Silicon Valley and six years as the chief financial officer of a high production winery in Napa Valley. He co-founded Skyward, a commercial drone software company, which was acquired by Verizon in 2017. Areas of research include cryptoassets, security issuance, and M&A. His work has been published in top academic journals and cited in media outlets such as the Wall Street Journal, Financial Times, NY Times (Dealbook), Forbes, MarketWatch, Smart Money, and Fox Business News. He joined the Lundquist College of Business faculty in 2011 and teaches in the PhD, MBA and undergraduate programs. Learn about the future of blockchain from nationally recognized authority Stephen McKeon, at a daylong session in Portland in February 2019. In a piece for The Conversation, assistant professor of finance Stephen McKeon explains the difference between utility and security tokens. In a piece for VentureBeat, finance professor Stephen McKeon discusses how blockchain tokens will offer venture capital funds a new mechanism to raise capital and maintain control of the investor base. The basics of all those scary words like stocks, bonds, and annuities aren’t so scary. Finance professor Stephen McKeon uses examples to illustrate the concept of investing. McKeon, Steve, John J. McConnell, and Wei Xu. "Corporate Governance and Ownership Structure." In Corporate Governance: A Synthesis of Theory, Research, and Practice, edited by H. Kent Baker, and Ronald Anderson, 303-321. New Jersey: John Wiley & Sons, Inc.